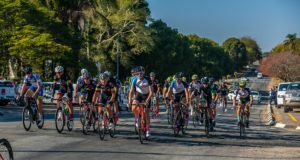 Stellenbosch was buzzing with excitement on Sunday, 25 November 2018 with eager mountain bikers and trail runners congregating at the Coetzenburg Sports Fields to either take part in Stage Two of the Origin Of Trails MTB Experience or be part of the action of the inaugural Origin Of Trails Trail Run. Ruwiel crossed the finish line in 01 hour 15 minutes 12 seconds. Juan Erasmus came in second, while Lachlan Mundie finished third. The women’s Short Route (+-30km) was won by Lenetia Mundie in 01 hour 39 minutes 08 seconds. Jan van Wyngaarden came in second, while Nina du Plessis finished third. The Origin Of Trails MTB Experience Long Route(+-55km) was once again dominated by Polish riders Marius Kozak, Piotr Brzozka and Wozciech Halejak. Kozak completed the Stage Two route in 02 hours 20 minutes 10 seconds. Piotr Brzozka came in second, while Wozciech Halejak finished third. Mari Rabie came in second, while Danielle Strydom finished third. This year trail running enthusiasts could join in on the action of the Origin Of Trails MTB Experience by taking part in the first ever Origin Of Trails Trail Run(+-15km or +-6km) on Sunday. Stellenbosch based runners, Louis Terblanche and Grace Sargeant claimed gold in the +-6km Origin Of Trails Trail Run. Terblanche completed the +-6km race in 34 minutes. Wil Neethling came in second, while Ruan Botha finished third. Sargeant completed the +-6km race in 37 minutes 49 seconds. Kay Walsh came in second, while Danielle Zimny finished third. The +-15km Origin Of Trails Trail Run titles were claimed by Chris Visser (Stellenbosch) and Georgia Grobler (Newlands). Visser completed the +-15km route in a time of 01 hour 05 minutes 33 seconds. Anele Mnukwa came in second, while Francois Groenewald finished third. Grobler completed the +-15km route in 01 hour 10 minutes 10 seconds. Judith Trunschke came in second, while Suzette Vermaak Mcivor finished third. 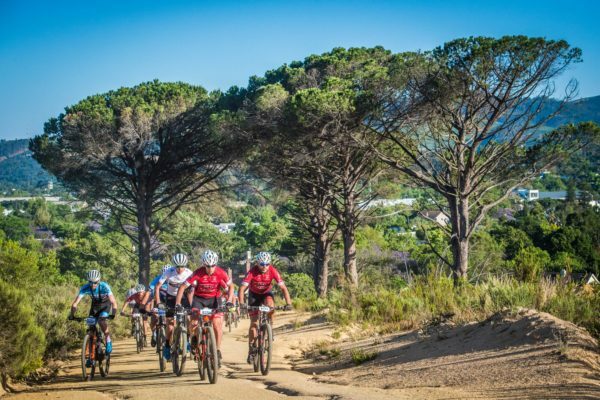 An individual 2-day MTB Experience, the Origin Of Trails routes highlight the beauty and splendor of the City Of Oaks. Mountain bikers are granted the “once a year opportunity” to experience a vast network of world class trails. CHARITY SUPPORT: The Origin Of Trails proudly supports the Aitsa After Care Centreand the Stellenbosch Trail Building Fund. 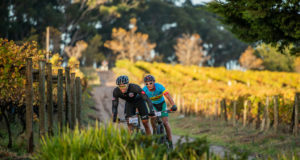 The Fund is committed to continuously developing the trails in Stellenbosch, further sealing the town’s reputation as a global mountain biking destination. SPECIALIZED BIKE giveaway: One lucky Origin Of Trails MTB Experience rider took home an awesome Specialized Stumpjumper FSR ST to the value of R30 000. FALKE Foot Zone: All entrants (runners and mountain bikers) were invited to visit the Falke Foot Zone once they’d crossed the finish line for a free Falke leg and foot massage. LIVE MUSIC: BrotherBrother treated participants and spectators to a toe tapping performance after Stage One on Saturday, while Stone Jets closed off the action of the 6thannual Origin Of Trails MTB Experience on Sunday. For more information on the Origin Of Trails MTB Experience please contact Stillwater Sports on 082 991 0045, email entries@stillwatersports.comor visit www.stillwatersports.com.